Premier Fencing and Backyard Solutions is proud of its sterling reputation for first rate product lines and quality installation and service. As a family run business, the Boyers are proud to have been serving our residential and commercial clients in the Kitchener/Waterloo area and right across Southern Ontario for over 90 years. 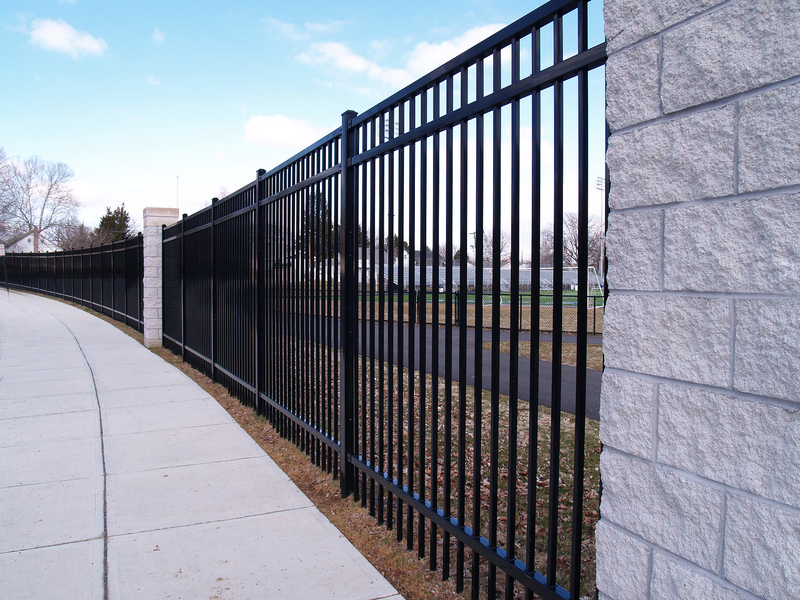 Widely known for our extensive work in the residential market, Premier fence has also excelled in providing the commercial district with added security and safety with our commercial and industrial fences. Our in-house team of fencing contractors have a solid commitment to the provision of quality materials, workmanship and service that is put into all residential, commercial and security fencing. We specialize in all fencing needs. Contact us at 519-500-5545 or email us at sales@premierfence.ca for a free quote. Our experienced sales staff can recommend the best product for your commercial fence or industrial fencing needs. At Premier Fence we offer a full line of sports and commercial fence products to serve municipalities, school boards and the business community in our region. As you can see, we offer a full range of residential and industrial fences. Many of our installations can be viewed here, online. Security fencing? Warehouse fencing? Baseball fence? Tennis court fence? No matter what your fencing needs are, our in-house team of professional fencing contractors can handle it. Our experienced sales and installation team will design and build a product meant to last. Commercial fencing is a strong, inexpensive and a maintenance free solution to many of your security needs. It will provide you with the protection you need for your business or industrial site. We can include high tensile barbed wire, barrier gates, automated entry systems and much more to secure and protect your property. A chat with our design team will make you aware of all the options available to you from one of the most experienced and trusted commercial fencing contractors in Southern Ontario. We’re regular suppliers of security fencing and warehouse fencing to municipalities, school boards, business and industry in the region. Our perimeter security and access control line of products are popular with business firms and government bodies that need to secure open space. 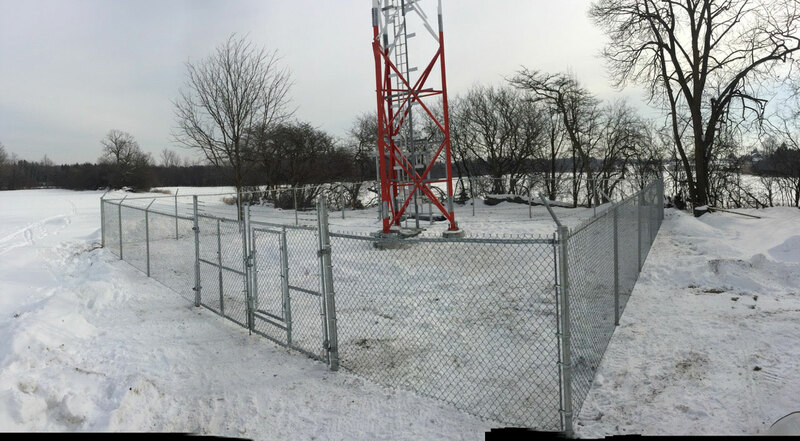 We can provide an aesthetic solution to your fencing needs while maximizing security protection along with usability and functionality. As one of the region’s leading fence and deck builders, we are committed to the design, installation, maintenance and warrantee of each project. Our customers come to us looking for a way to enhance and secure their property with a high-quality fence that will last, and we don’t disappoint. 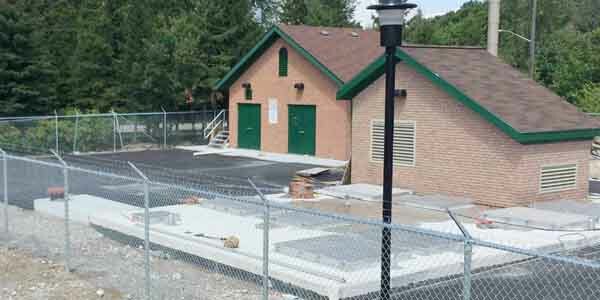 We offer many types of chain link fences including galvanized and vinyl coated in various colours. This type of fencing provides security at a reasonable price point. Chain link fences come in various heights and mesh sizes to suit your specific need. We can also provide chain link configurations designed specifically for baseball fence and backstops and tennis court fencing. These fences offer an aesthetic appeal along with good functionality. Available in a wide range of heights and styles you can add attractive post top mountings for a finished look. 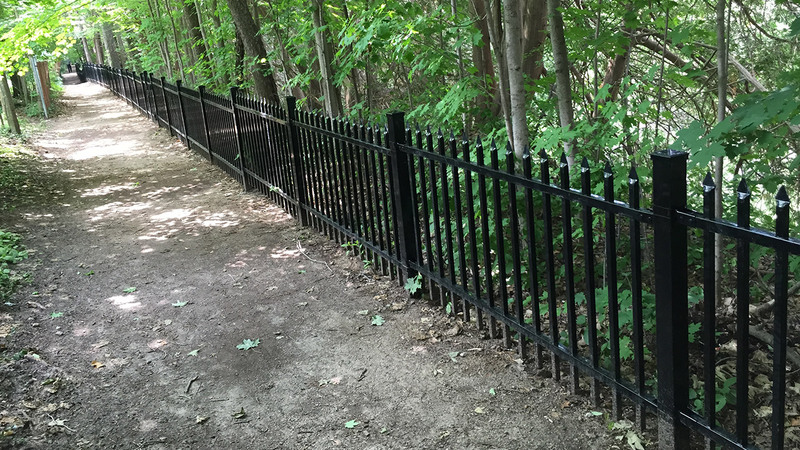 Locally manufactured using the Galvume process along with a polyester powder coating, these long-lasting fences are designed to withstand the challenges of the Canadian winter. These durable fences are suitable for both residential and commercial properties. More durable than wood the vinyl fence comes in various designs and colours to meet your every need from security to privacy. Vinyl fencing never rots, splinters or warps and requires minimal maintenance. It is available in picket and privacy styles in various heights and colours to match your demands. When you’re looking to maximize the appearance of your business property you might want to consider the attractive Yardistry line of products. Yardistry manufactures a building components system in durable exterior grade cedar with durable marine grade hardware to add that special touch to your property. See some of the Yardistry products on our website. Work with our design and planning experts to discuss your needs. We can construct and install other types of fences and supplementary equipment such as security gates, sliding gates, welded wire fences, pipe rail fences and architectural grills to highlight or protect your property. Depending on your architect, builder, property manager or developer, they might recommend any of the above fences to best suit the design and function of your commercial property. If you’re working with Premier Fencing, you know that you’re dealing with the best. We have built a solid reputation for top of the line products, expert on-time installation and our substantial guarantee.